In Europe many orchids from different genera breed and make hybrids. One well knonw example is Serapias x Anacamptis, called: x Serapicamptis. These hybrids are often more handsome than either of the parents, but in other means they are something between the parents. But does theseplants exist in Finland? None have been reported from here until now. Only exeption is the hybrid between Coeloglossum viride (now called Dactylorhiza viridis) and Dactylorhiza maculata, but they are also now both part of Dactylorhiza-genus. 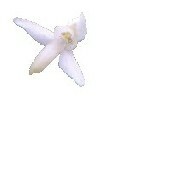 We would be very intrested if you have seen any orchid-hybrids in Finland. Gymnadenias and Dactylorhizas (including former Coeloglossum) are known for hybridising often, and it is very possible that theyre hybrids would be found from here. Many other orchids could hybridise too, including Platanthera, which is not closely related to any other Finnish orchids. We´d love photos of certain hybrids, which have parents in Finland (like Dactylorhiza maculata x Gymnadenia conopsea).